Bhartiya Janata Party candidates won the seats of six District Central Cooperative Banks of Garwhal Mandal of Uttarakhand. The six DCCBs which fall under the Garhwal Mandal includes Uttarkashi, Tehri, Chamoli, Pauri, Haridwar and Dehradun DCCBs. 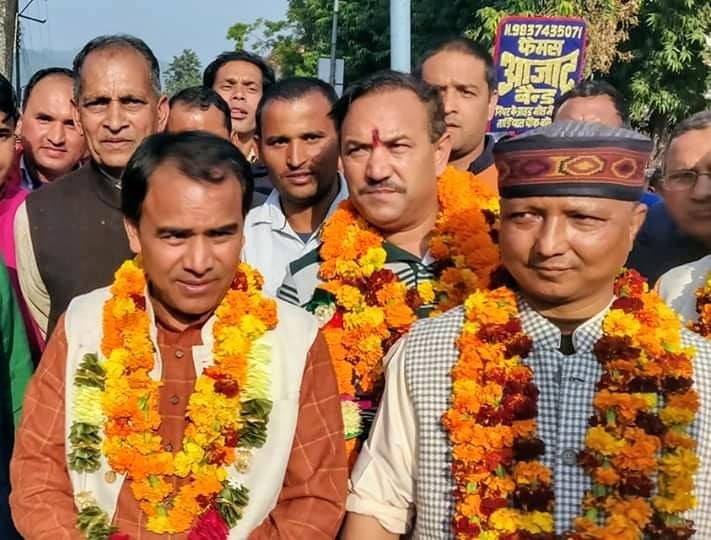 Talking to Indian Cooperative, one of the members of the committee formed by BJP to oversee the election process of state, Dan Singh Rawat said, “BJP has unanimously won all the seats of six DCCBs of Garhwal Mandal of Uttarakhand. The elections were held on Wednesday”. “While Vikram Singh Rawat has been elected the Chairman of Uttarkashi DCCBs, Subash Ramola was elected as the Chairman of Tehri DCCBs. 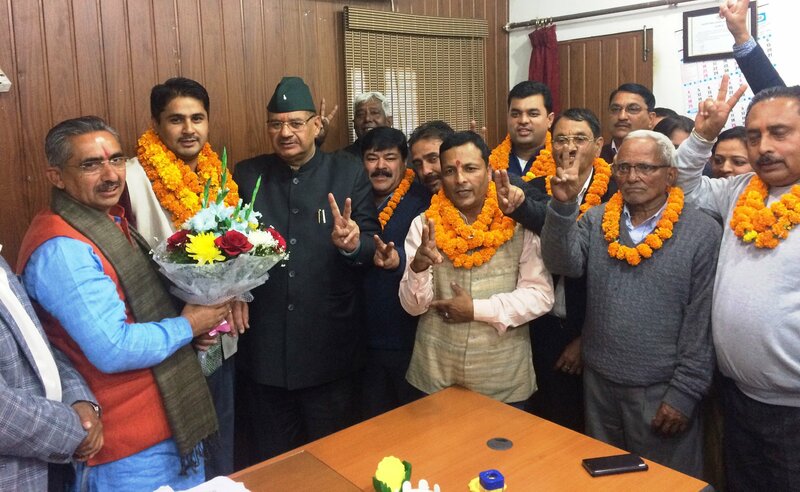 Gajendra Singh Rawat and Narender Singh Rawat have been elected as the Chairman of Chamoli and Pauri DCCBs respectively”, Rawat informed. 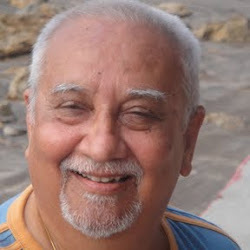 Rawat further said, “Pradeep Chaudhary has been elected as the Chairman of Haridwar DCCBs and Amit Shah has been elected Chairman of Dehradun DCCBs”. Readers would recall that Garhwal Mandal went to polls to elect Directors on 4th December. The elections for the Chairman and Vice-Chairman were held on 5th December. The election results of DCCBs falling under Kumaon Mandal and which includes Almora, Nainital, Udhamsingh Nagar and Pithoragarh DCCBs will be announced on 11th December. On 12th and 13th December the election of State Cooperative Resham Federation will be held and on 14th and 15th December the election of Dairy Federation are slated to be concluded. 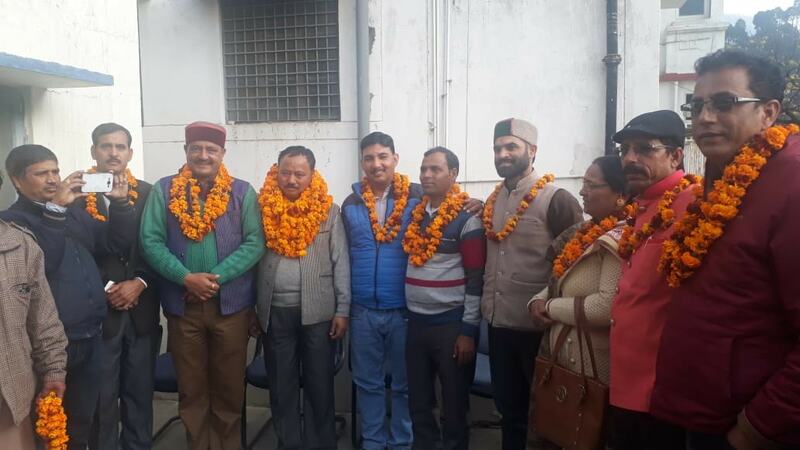 It is being reported that BJP Chamoli District General Secretary Gajendra Singh Rawat and Murlidhar Bhatt have been elected unopposed as the Chairman and Vice-Chairman of Chamoli DCCBs respectively. Pradeep Chaudhary and Rajendra Shah have been elected unopposed as the Chairman and Vice-Chairman of Haridwar DCCBs respectively. It bears recall that election process of different cooperative organizations of state had begun in July. Polls did take place for many coops but due to state civic poll the election schedule of DCCBs bank was extended.